As exciting as 200-meter ovals and banked curves are, we’re ready for the unpredictable weather, sprint relays and 10K races of spring track season. 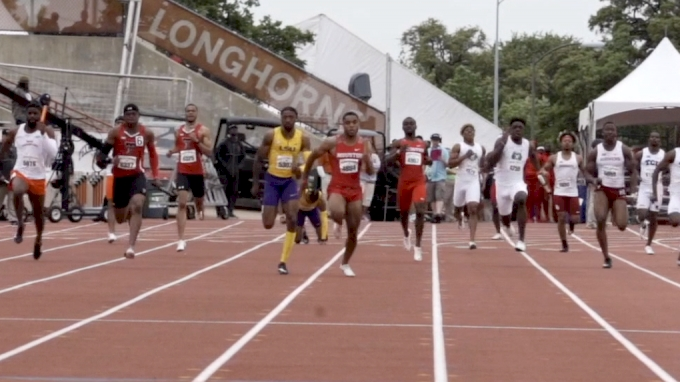 Here’s a few reasons to get excited for NCAA outdoor track and field. 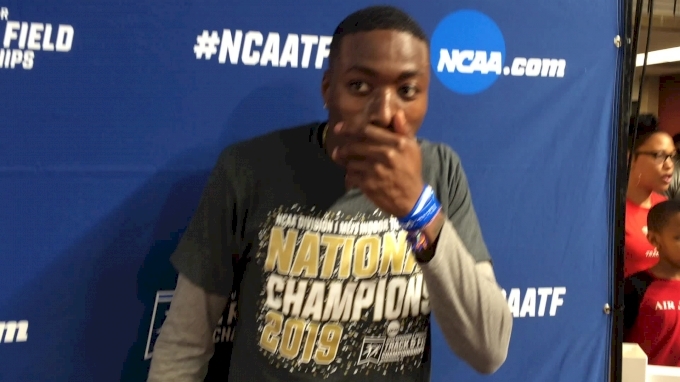 Florida junior Grant Holloway hinted in interviews after NCAA Indoors that he may turn professional this summer—which he should!—meaning that collegiate track fans only get one more season of the NCAA’s brightest star. Next on his list after completing the rare 60m/60m hurdles double win at NCAAs (not to mention breaking the American record in the hurdles!) is taking aim at the record book in the 110m hurdles. Holloway currently ranks No. 2 NCAA all-time in the event with his personal best of 13.15, which is light-years away from Renaldo Nehemiah’s now 40-year-old NCAA record of 13.00. If the Gator can manage to eclipse Nehemiah’s mark, he’ll be considered one of the top hurdlers in the entire world. Part of Holloway’s fan appeal comes from his steadfast commitment to the Gators. On top of his herculean 60m dash/60m hurdles double at the NCAA Indoor Championships, the multi-talented star also placed third in the long jump and contributed a leg to Florida’s bronze medal-winning 4x400m relay. That means Holloway scored 27.5 points by himself, exactly half of the Gator’s point total to take home the men’s team title. Trust that he’ll put himself on the line again outdoors to help Florida wrestle back the team title away from Georgia after winning in 2017 and 2016. If the NCAA indoor 3K final taught us anything, it’s that this outdoor season’s NCAA 5K Championship is going to be a grudge match between the two national champions, who seem to be head and shoulders ahead of their competition. Stanford’s Grant Fisher won his first (and only) national title as a sophomore in the 2017 NCAA outdoor 5K. Since then, he hasn’t finished worse than fifth at a national championship but admitted he tried to “coast” through his training last year and fell victim to a bit of hubris after winning a title so early in his career. 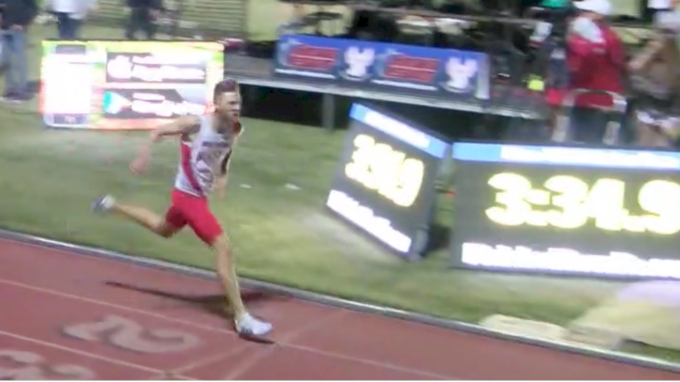 Wisconsin’s Morgan McDonald, meanwhile, was off and on early in his collegiate career due to injury but is absolutely on fire in the 2018-2019 academic year, defeating Fisher with a devastating kick in the NCAA XC and indoor 3K finals. 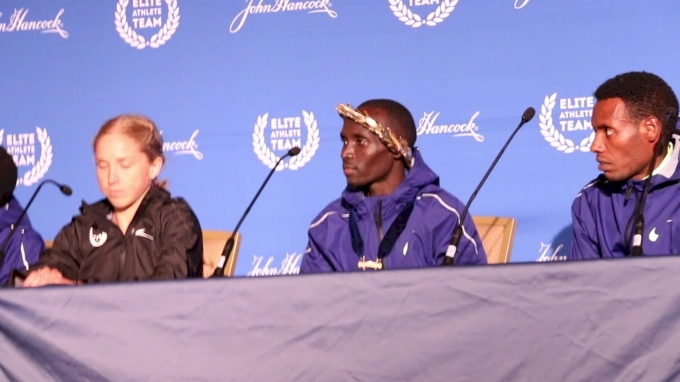 (Although it should be noted that Fisher came out on top in their 3K race at the Millrose Games). 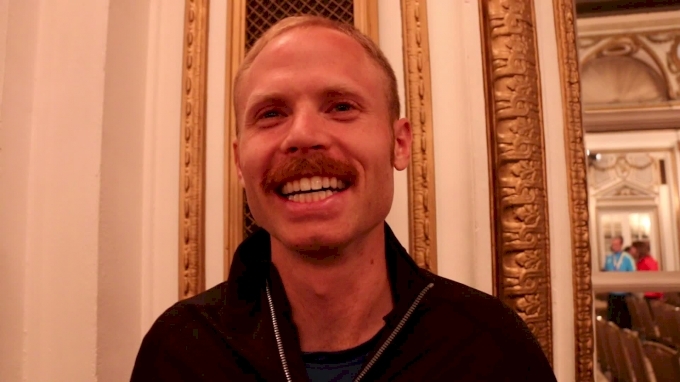 Both men are likely looking at long-term running careers beyond college, in which they’ll potentially race each other in the 5K for Australia (McDonald) and the U.S. (Fisher) dozens of times over. But you’re only a senior in college once—and there’s nothing quite like competing for one last championship in your university singlet. Colorado star distance runner Dani Jones will be back outdoors and raring to go after redshirting both the winter campaign and last spring’s outdoor track season. The Arizona native showed off her versatility in winning the NCAA XC Championships last fall—she’s now captured national titles over 6K (XC), 3K and as the anchor leg on the Buffs’ distance medley relay. She now looks poised to be the biggest threat to Jessica Hull’s NCAA title defense in the 1500m. 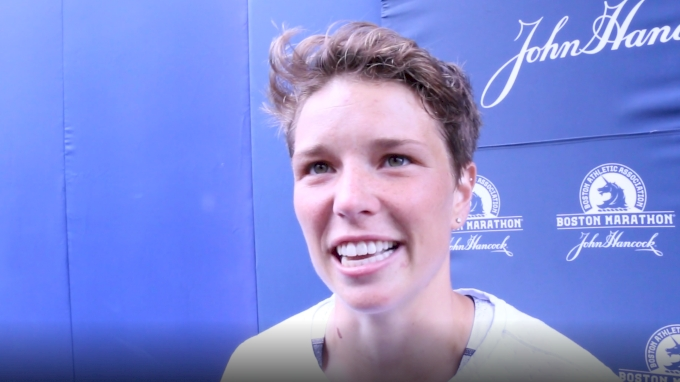 Jones benefited from some big-time racing experience during her redshirt spring last year, which concluded with a new 1500m personal best of 4:07.33 and a fifth-place finish in the USATF Championship 1500m final. Hull of Oregon gave a 4:08.75 effort to win last year’s NCAA title. Their impending face-off at Pac-12s and NCAAs one of the more interesting storylines to follow this season. 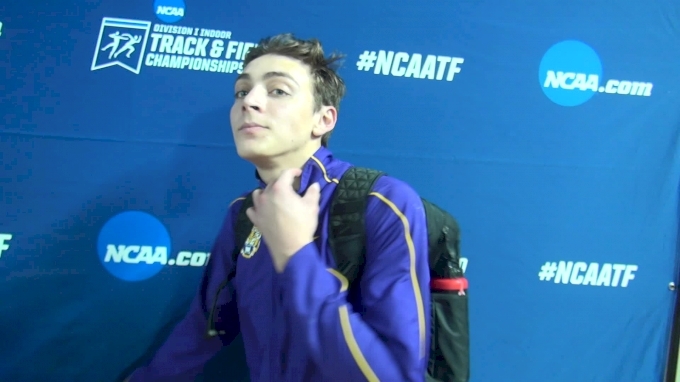 LSU freshman Mondo Duplantis is the only athlete for whom not breaking the collegiate record this year would feel like a huge disappointment. Luckily for the Louisiana native, he’s never broken under pressure. As a high school senior, he vaulted 6.05m/19’10.25”—which tied as the fifth-best outdoor mark in world history and eclipsed the NCAA record by seven millimeters. Only pole vault legend Sergey Bubka has ever cleared a higher mark outdoors. In his first collegiate season, Duplantis won NCAAs and broke the NCAA indoor record (5.92m/19’-5”). He’ll be aiming for the NCAA outdoor record next (5.98m/19’-7.5”), but don’t be surprised to see him take aim at the 20-foot barrier. Who knows, Renaud Lavillenie’s 6.16m/20’-2.5” world record may soon be in danger. The 2018-2019 track season will likely be Duplantis’ only competitive years in the NCAA before turning pro to focus on representing his mother’s native Sweden at the 2020 Olympic Games. Twanisha “Tee Tee” Terry is instantly recognizable on the track with her trademark braided pigtails. But it’s her speed that really sets her apart. 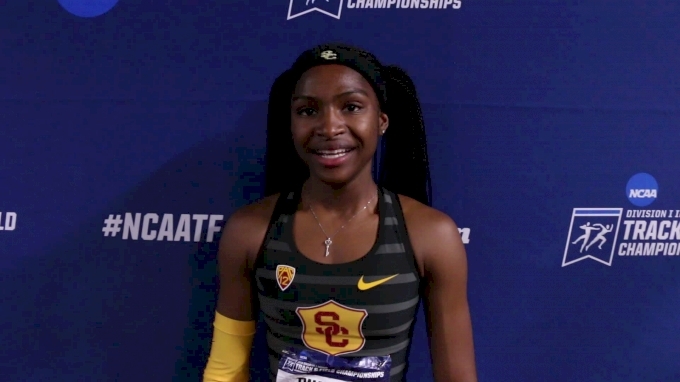 The sophomore at USC recently won her first NCAA title in the 60m at this month’s indoor championships and last year, as a freshman, she scooped up multiple All-American nods in the 100m and 4x100m while just missing the final in the 200m. She finished out her rookie campaign by winning the USATF junior title in the 100m and earning silver at the IAAF U20 World Championships—all with a (wind-aided) PB of 10.96 (+2.6). Many of last year’s top female sprinters either graduated, turned pro early or simply have not performed at their previous level, leaving a void in the ranks. The 100m and 200m are wide open events, but Tee Tee seems to have the stuff to be the next big thing. Can thrower Payton Otterdahl build on his magical indoor season? Relatively unknown redshirt senior Payton Otterdahl from North Dakota State broke out this indoor season by smashing an 11-year collegiate record in the shot put, 21.81m/71' 6.75", and winning double gold at the NCAA Indoor Championships in the shot and weight throw. His weight throw best of 24.11m/79’-1.25” makes him the fourth-best collegian of all-time. The Minnesota native will be aiming for another national title sweep outdoors in the shot and discus, just one year after his first appearance at the NCAA Championships. Does he have another shot at a collegiate record? The shot put record of 22.00m/72’-2.25” is doable, though it’s stood since 1995--thanks to UCLA Bruin John Godina.